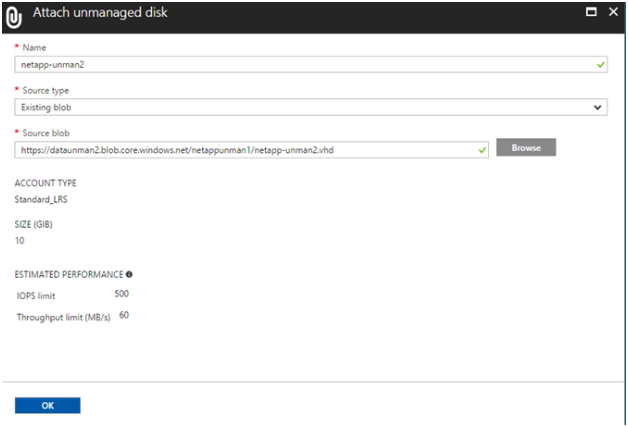 Microsoft Azure has two types of virtual hard disks (VHDs): unmanaged and managed. When comparing Azure managed vs. unmanaged disks, the biggest difference is that the latter are maintained by the end user in their own storage accounts. These unmanaged disks are bound by storage account limits, which leads to needing several storage accounts when the deployment has to scale. 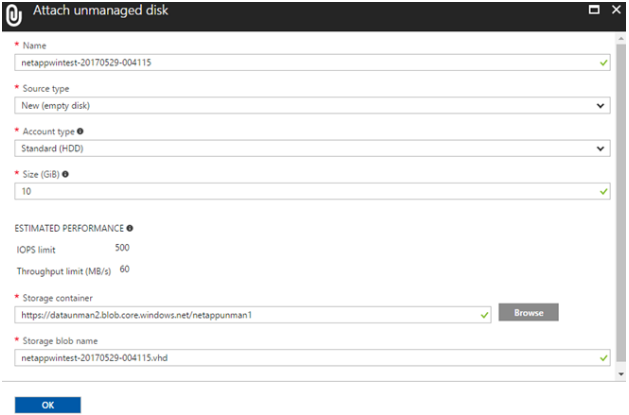 Managed disks are part of the Azure Managed Disks service. This disk type overcomes the storage account limit obstacle by having Microsoft manage the storage accounts for you. 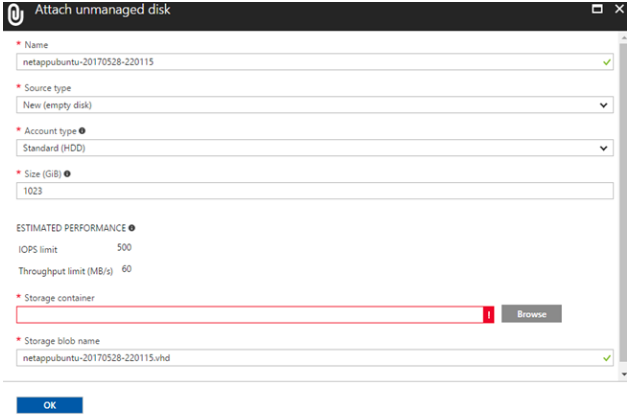 There are a number of other advantages that Azure managed disks have over unmanaged disks. How can you mount VHD files to Azure virtual machines? This article will discuss methods you can use to attach, and mount managed and unmanaged VHD blob storage to Azure virtual machines (VMs). 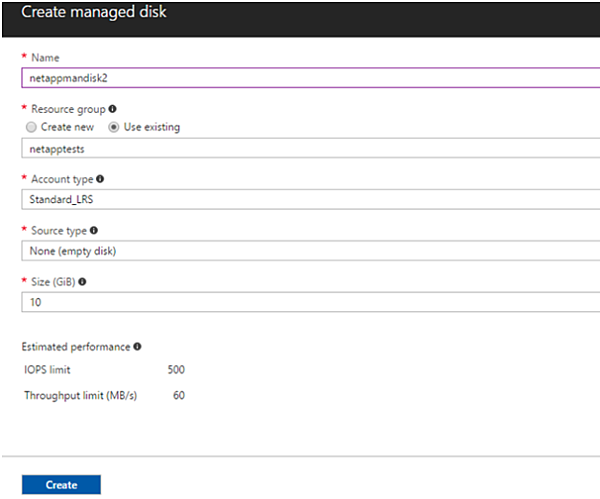 All the steps in this article are compatible with Azure Resource Manager (ARM), but if you need to create storage accounts for Azure Service Manager (ASM), make sure to use the “Storage Accounts (classic) option” in the new portal. 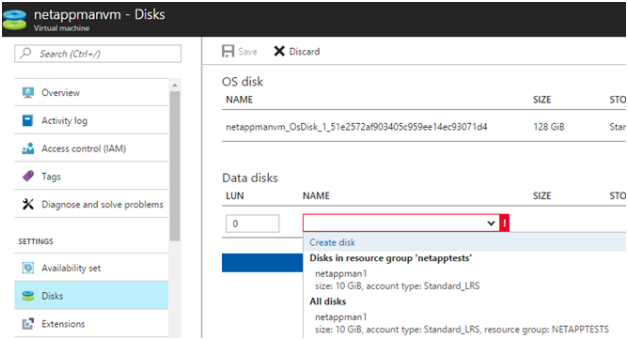 As well as attaching data disks, we will also look at how NetApp’s Cloud Volumes ONTAP (formerly ONTAP Cloud) can be used to provide additional storage solutions for once you mount VHD files to Azure virtual machines. Here is the step-by-step procedure for adding a VHD in Azure to a Windows VM through the Azure Resource Manager (ARM) portal. 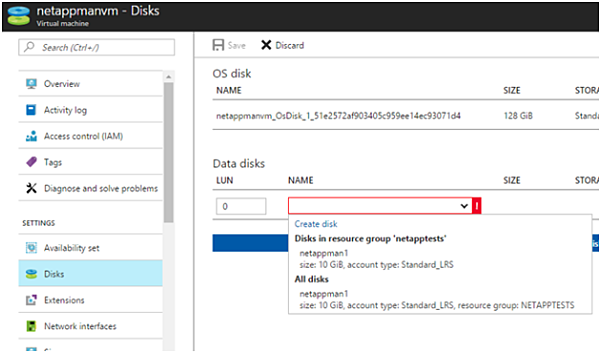 Open up the Azure Resource Manager portal and browse over to the “Virtual Machine” blade. Go to “Settings” and click on “Disks.” On the blade that opens up, click on the “+ Add data disk” option. This next step varies depending on whether you are using an existing VHD or creating a new one. For unmanaged disks, select “Existing blob” under the “Source type” drop-down menu. In the “Source blob” field, browse for the blob container and then select the VHD that you want to attach. For unmanaged disks, select “New (empty disk)” in the “Source type” field. Next, select the Blob container where you want to store the VHD. For managed disks, click on the “Create disk” option under the “Name” drop-down menu. Clicking on “Save” will attach the data disk to the VM. 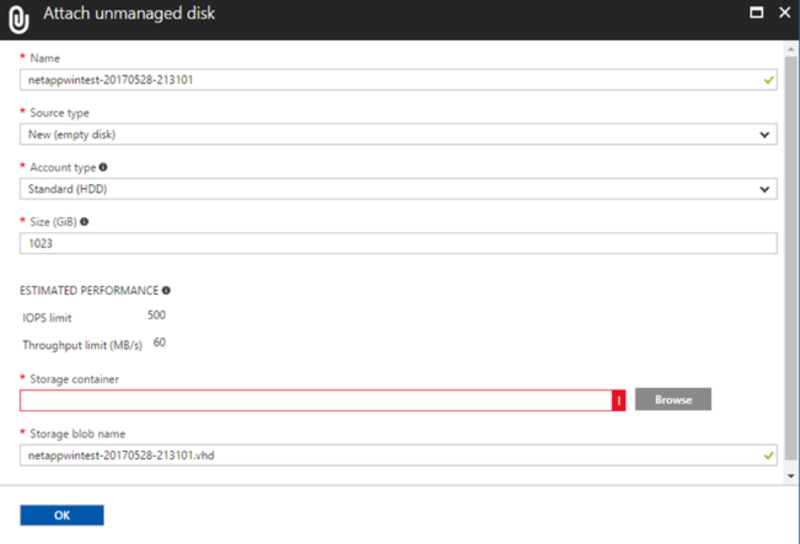 When you connect to the VM through RDP, you can see the attached disk under the “Disk Management” console. If it is a new disk, you can initialize and format the attached VHD. Otherwise, if it is a VHD containing your data, right click and bring it online. Here are the steps to add and mount VHD files, both unmanaged and managed disks, to a Linux VM. This example will use an Ubuntu distro. Browse to the Ubuntu VM using the Azure portal. Under “Settings,” click on “Disks.” On the blade that opens up, select the option “+ Add data disk”. 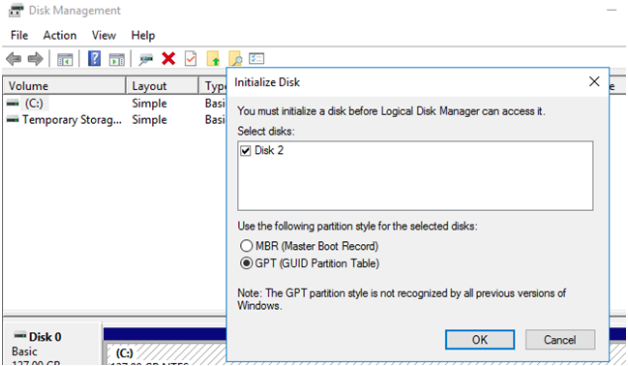 For attaching managed disks, you’ll follow the same actions described in Step 2 in the above section on attaching disks to Windows VMs. First, select “Existing blob” in the “Source type” field. Next, browse the “Storage container” menu and select the VHD to be attached. For instructions on how to add new managed and unmanaged disks, please follow the same steps given in Step 3 of the Windows VM section above. Clicking on “Save” will add the data VHD. Now, connect to the Linux VM through SSH. After the file system has been written, assign a directory and mount the device to the directory. Now that we have the drive set up, you can read and write files from it. 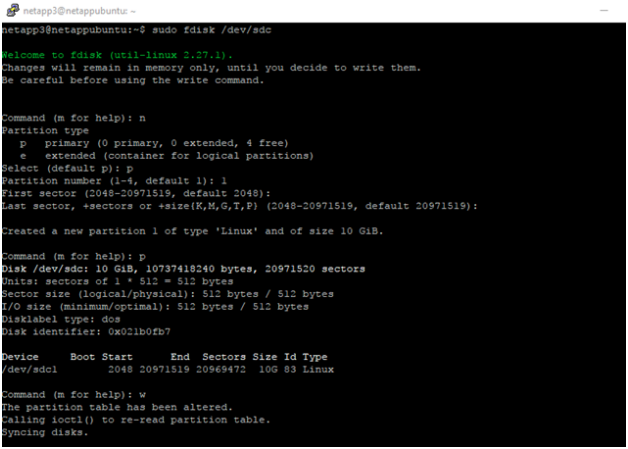 For PCs running on Linux or Mac (or even Windows using WSL), you can use Azure Command Line Interface (CLI) to create and manage Azure resources. Having said that, this blog post’s author prefers to connect to Azure CLI through Azure Cloud Shell directly on the Azure portal. Here are some of the commands that you would run to attach disks to an Azure VM. For more command lines, the article behind this link has a full list of Azure CLI commands. While Azure Disks and VHDs allow for a single virtual machine to actively make use of a storage allocation, sometimes data needs to be shared between many virtual machines concurrently. This requires the use of NFS or CIFS file share services that client hosts can connect to. NetApp’s Cloud Volumes ONTAP for Azure provides a comprehensive solution for cloud storage management, which includes the provisioning of cloud-based NAS services. 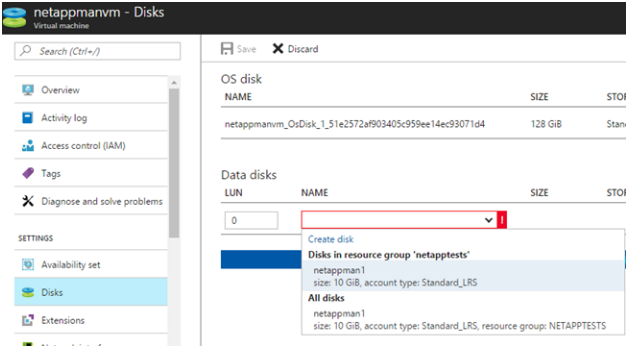 Cloud Volumes ONTAP is built on top of Azure compute and Azure storage resources and can therefore be made readily available to your existing virtual machines. That’s our rundown for how to mount VHD files to Azure VMs. Although managed disks have a number of features and functionalities that unmanaged disks just don’t offer, make sure you understand that there are a few gotchas involved with using managed disks. For instance, the pricing for standard managed disks is based on provisioned size: that means you’re paying for disk space you may not wind up using. 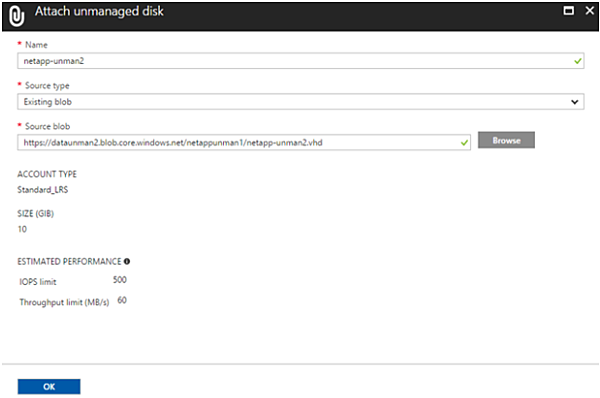 Using Cloud Volumes ONTAP with Azure, you can wind up saving on the amount you spend on Azure storage. 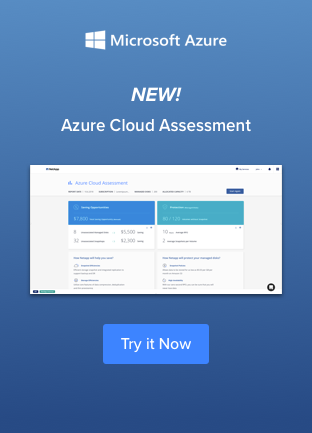 To see for yourself, take a look at our Azure calculator to see what Cloud Volumes ONTAP can do to lower your TCO. One last note: if you are using standard disks, don’t forget to turn on TRIM on the Windows and Linux VMs after you attach VHD disks. Trim discards unused blocks on the disk and helps save on costs if you create large files and then delete them. You can do this in Windows by running the fsutil command and in Linux by using the fstrim command. For more about Cloud Volumes ONTAP on Azure, visit us here, or to start a 30-day free trial today.